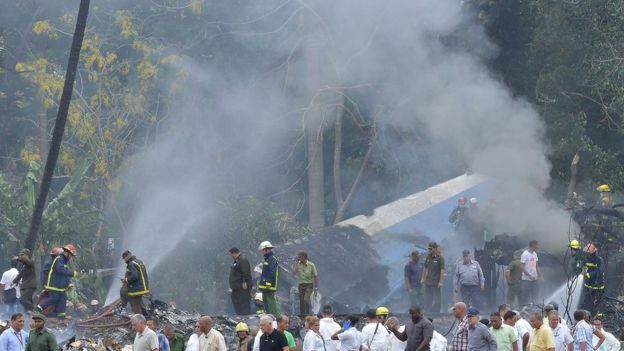 The Caribbean island of Cuba is in mourning today after a plane carrying 104 passengers and 9 crew crashed shortly after takeoff from Havana today. The Boeing 737 aircraft had just departed Jose Marti International Airport at 11am local time, when it came down in a field. Wreckage and debris from the crash was scattered across the field near the municipality of Rancho Boyeros. 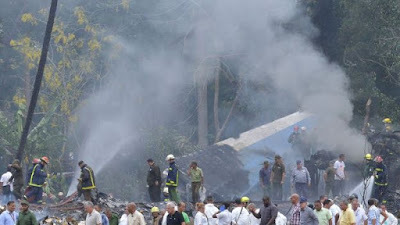 Local media reported that three people had been pulled from the wreckage of the airliner and taken to Calixto Garcia hospital in Havana. One subsequentially died from the trauma and burns, while the two others are said to be in a serious condition. The aircraft was operating flight CU972, a domestic flight from Havana to Holguín and according to local media had been leased to state airline Cubana de Aviación by the Mexican company Damojh Aerolíneas. Mexican transport officials confirmed that the 737 jet belonged to Damojh Airlines, which was founded in 1990, which operates by the name of Global Air. The charter carrier has three 737 aircraft and the one that crashed was manufactured in 1979.